A pilot project for productive planting, Victory Gardens revived eponymous programs created in the United States, Canada, and Britain for producing food during the First World War. San Francisco residents were invited to participate in group gardening events on plots in different microclimates, with the intention that a community of food producers could be created, enabling a productive appropriation of land. 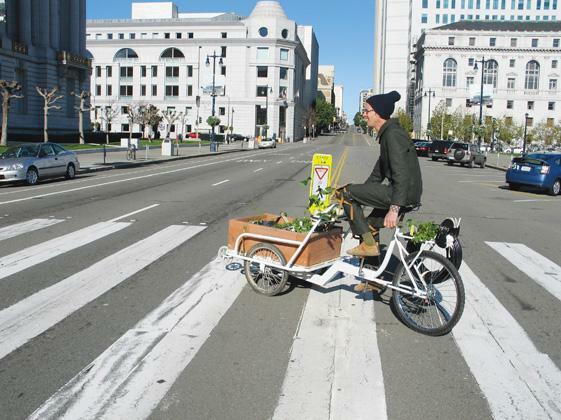 Among the equipment created for Victory Gardens is a pair of gardening overalls, a pogo-stick shovel, a seed-bank briefcase, and an integrated bicycle-wheelbarrow for transporting gardening supplies in the city. Amy Franceschini founded Future Farmers in 1995 to create multidisciplinary work.